Wrapped in thick pelts and brandishing the fiercest weapons, Berk's Vikings belong to the Hairy Hooligan Tribe. Once plagued by constant dragon attacks, the Hairy Hooligans were regarded as some of the most brutal dragon fighters on the Isle of Berk. Before Hiccup befriended Toothless, the Vikings of Berk were convinced that dragons were evil and were determined to eliminate them at any cost. However, with Hiccup’s persistence, the Hooligans were able to adapt and learn how to care for and train dragons. The Vikings of Berk were once led under the protective leadership of Stoick the Vast. However, his tragic and heroic death has left his son, Hiccup Horrendous Haddock III, as the chief. While the Hairy Hooligans mourn the loss of their former chief, Hiccup’s bravery in battle and ability to adapt has left most villagers feeling confident that he will be a great leader. Now, the Hairy Hooligan Tribe strives to protect dragons from those who wish to do them harm. Berk's Vikings are also responsible for instituting the School of Dragons with the hopes that young students will learn how to apply teamwork, bravery and the scientific method to dragon training. 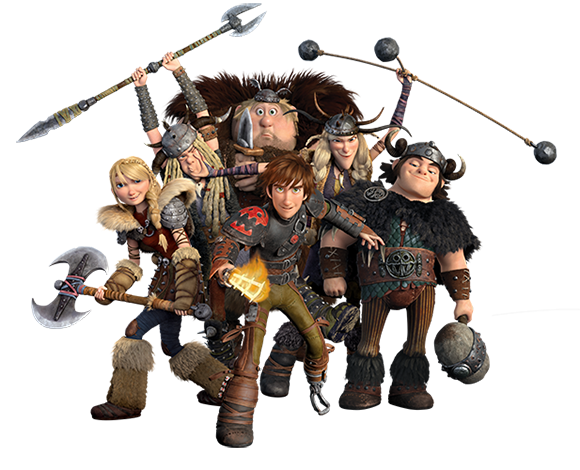 The Vikings of Berk are always ready to go on adventures with new dragon trainers! 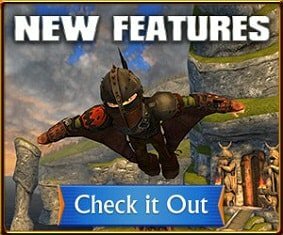 Explore uncharted lands with Hiccup, fly into battle with Astrid, teach your dragon to breathe fire with Snotlout, and pay Fishlegs a visit if you have a question about dragon trivia! If you need some time to unwind and have some fun, Ruffnut and Tuffnut are always looking for people to pull pranks with them. The Hairy Hooligans will be there to help you on your journey to becoming the strongest Viking you can be! With an axe and a shield by the door, I am as ready as I’ll ever be for battle. The icy winter wind nips at my face, reminding me of how cold it is in Berk, especially during the winter. Luckily, I have decided to wear my thickest furs, which will not only keep me warm, but also serve as another layer of armor. Hopefully, this will make me impenetrable to fangs, but Odin help me if one of my enemies is feeling particularly fire-happy this evening. I can’t dwell on that. Not when my village needs me. I am a Hairy Hooligan, after all, and it is my duty to protect my village and the Isle of Berk. I can never hesitate, especially in battle. Dragons are out here now, as I write this. They are laying waste to my village, and here I am, doing nothing but writing in this journal.